After reflecting on the horrific dimensions of The Wolf of Wall Street, I realized that an amazing number of Golden Globe front-runners boast bases in true stories involving recent crimes. 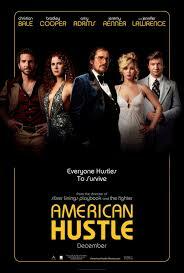 Like Wolf, American Hustle celebrates the wiles of big-game thieves. Philomena takes you into high Gothic territory — evil nuns, kidnapping, slavery, and human trafficking (again, of a modern-day kind, as otherwise 12 Years a Slave would qualify for this list as well) — and somehow diffuses it by placing Judi Dench at her most adorable, and deceptively layered, in the title role. 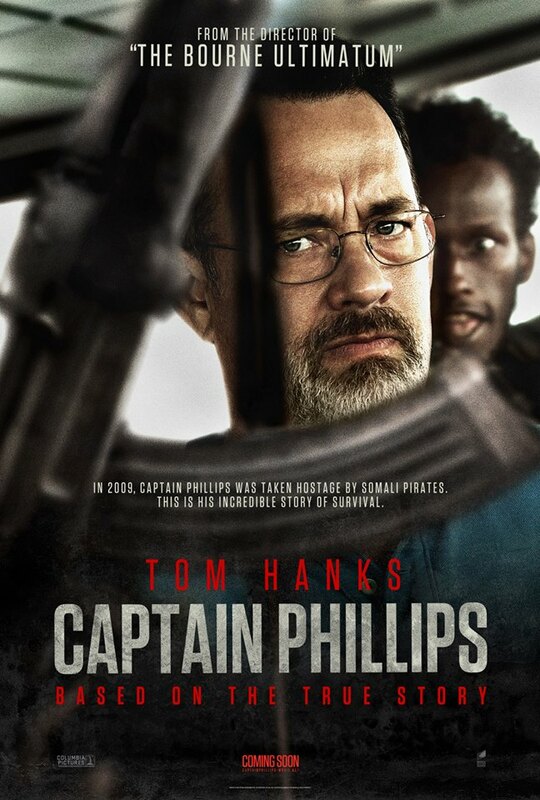 And finally, Captain Phillips is, of course, about real-life Somalian pirates who lack the courtesy to say “arr” and wear eye-patches but instead beat and threaten to kill honest Americans. I wouldn’t actually argue that these films are genre imposters a la Wolf, but I’m struck by the pattern of bestowing our nation’s highest critical honors on films that seem, a decade later, to be saying that reality TV was right to turn away from fiction-based fiction, as long as the cinematic reality-based fictions sensationalize crime. Just so you know, I’m not about to preach about the evil of sensationalizing crime. I rather enjoy both sensationalized and sensationalizing crime in fiction. It’s been a staple pretty much since we humans starting spinning yarns. But for me, the more fictional the yarn, the better: a wicked tale about murder can be fun, but hearing on the local news that a murder happened a few blocks away really isn’t a source of pleasure (and if you disagree, you scare me). So I am very interested that at this particular moment in history, American culture wants to celebrate crimes people perceive as real, whether the forms of celebration, the films and their applause, approach those crimes with varying degrees of ambiguity (as do American Hustle and Philomena) or with clear, black-and-white (bad pun very much intended) moral lines (Captain Phillips). In American Hustle some mid-level con artists (Christian Bale and Amy Adams, nominated for Best Actor and Best Actress) get ambitious enough to attract the feds’ interest, so they get caught up in a game of wits with an agent (Bradley Cooper) that involves overlapping cons designed to help the feds use criminals to con criminals. The movie is up for Best Picture, and lots of people are nuts about it. Personally, I found the general story and dialogue somewhat trite and nothing particularly compelling in the cinematography and editing. However, the acting is brilliant, with Jeremy Renner and Jennifer Lawrence rounding out the superstar team (the latter in an also-nominated supporting role). That would seem to mean, then, that the characters these master actors and actresses create are the film’s most valuable assets — the characters of criminals, their beneficiaries, and an ethically-mobile cop. Like the lead in Wolf, these characters advance themselves at the expense of others. America’s best performers portray them awesomely, and celebration begins with a title that marks such characters as especially American. 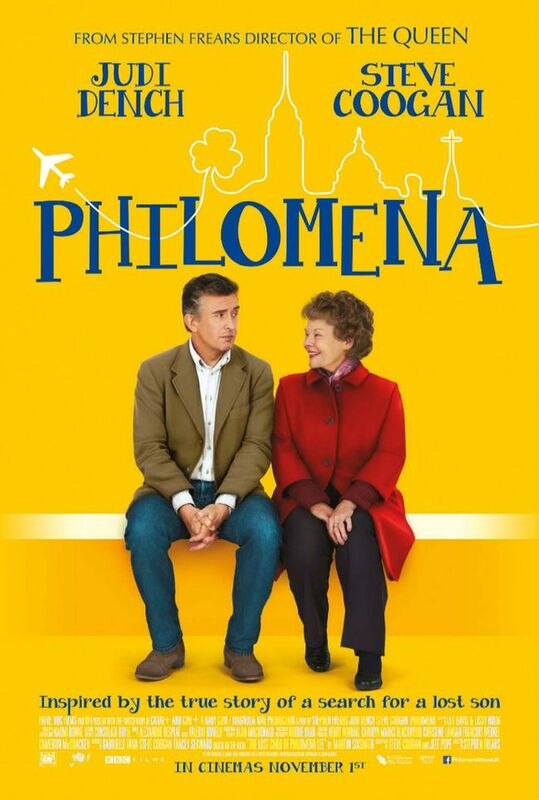 Hailing from the other side of the Atlantic, Philomena surprised me by being one of my favorite films of the year. Don’t get me wrong: I expected it to be good, but I expected it to be good as a showcase for the talent of the always-commanding Judi Dench. Showcase her talent it does, as she creates the title character with the aforementioned charm and depth, but the surprises come from an also-remarkable performance from Steve Coogan as well as an exceptionally well-told story. Coogan’s portrayal of the author of the non-fiction book on which the film is based adds dimensions that reflect on the political stakes of Philomena’s story about extreme corruption in the Catholic Church, stakes that make distortion of the story inevitable. Coogan’s British character’s bourgeois political fervor contrasts sharply with Dench’s portrayal of lower-class Irish spirituality, which keeps the film from becoming polemical or overbearing. Given Philomena‘s subject matter — which might even be read as questioning whether mainstream religious practices qualify as human rights violations — the film deserves high praise for being emotional but never stifling. It walks a political and spiritual tightrope with grace worthy of serious award consideration. And yet that very tightrope walk is necessary because a direct, all-out indictment of what the Church did would be unpalatable as a cinematic experience. What seems most celebration-worthy about this film, aesthetically speaking, is how it strokes the limit of mainstream cinema’s ability to challenge powerful institutions. Again, cf Wolf making Wall Street criminality look glamorous and fun. In this group of three crime-film celebrants, I liked Captain Phillips least. I disagree with no one who says that Tom Hanks in the title role is terrific: he pretty much always is, and this performance may be his best since Cast Away (2000). The problem is, if you remove Hanks from the equation, this movie is pretty much a slower-paced Under Siege (1992), with the important exception that all the bad guys are black, and their motives receive only cursory explanation, as mostly the movie is about how the menacing, slightly stupid black pirates hijack a large U.S. cargo ship with a white crew. And of course, unlike all the other movies I’ve been discussing, [spoiler alert, I guess] this film’s end is very “Hollywood,” not just in its factual outcome but in its no-perspective-but-America’s-gets-screen-time way. Brief allusions do not fully indicate why American ships hauling cargo along the African coast might have some negative, um, historical associations, not to mention that some of those ships are exploiting Africa’s resources in the present day, not to mention what tends to happen when extreme wealth dangles irresponsibly in front of people living in extreme poverty. Dealing with these issues would, in my view, make this film award-worthy. As it is, an unhappy side effect of this good story with a good lead actor is that it oversimplifies a difficult situation with some old-fashioned flag-waving and some old-fashioned criminals who are safely (for old-fashioned White America) foreign and dark-skinned. In short, some of the best films of 2013 feel pretty good about racially white white-collar criminals and con artists, wag an understanding finger at unimaginable horrors perpetrated by the Catholic Church, and celebrate the triumph of an uber-likeable white hero over baddies of a very recognizable African (stereo)type. And yet I loved the performances in all of them and particularly liked just about every facet of Philomena. 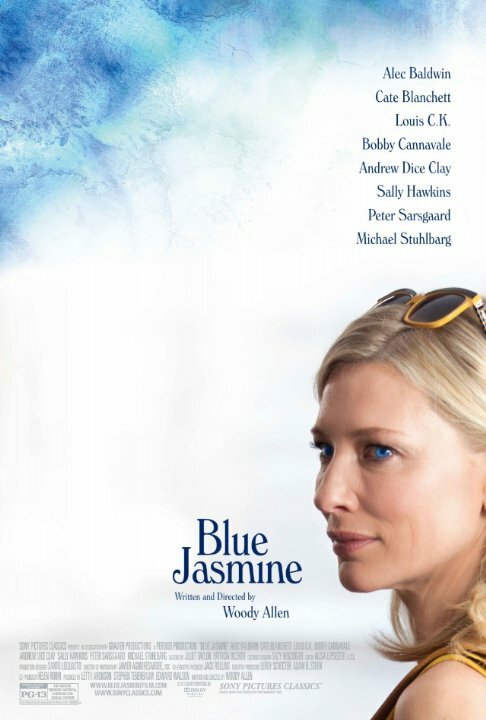 Blue Jasmine. Woody Allen still knows how to create fiction-based-fiction that is as close, or closer, to reality than reality-based-fiction. This film is about a New York socialite, Jasmine, destroyed when her husband turns out to be a criminal very much like the lead in Wolf of Wall Street. Cate Blanchett is nominated for Best Actress for this one, and the film turns out to be one of Allen’s best in recent years because her performance is absolutely dynamite. Blanchett has already demonstrated a powerful range that puts her in the talent stratosphere with the rare likes of Meryl Streep, with whom she will likely compete beyond the Golden Globes due to August: Osage County, but they could both win this round because Streep got a nod in the Globes’ comedy category, whereas Jasmine is drama. For Jasmine, Blanchett and Allen have crafted a character that lets Blanchett display her stratospheric capabilities by covering a great deal of human territory, as Jasmine’s fall and accompanying transformation sprawl over vast emotional terrain. To be honest, Blanchett has had me in awe since Elizabeth (1998): just hearing my brain’s echo of “I am married… to England” still gives me chills. Even if this year isn’t hers for a new shelf of awards, she’s still one of the most dynamic performers in the business. The plot of this film, inasmuch as it exists outside of character, isn’t so important, but to give away specifics of the extent of Blanchett’s performance would take something important away from you. See her. 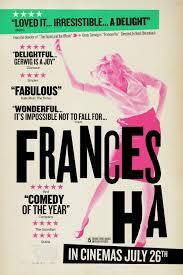 Frances Ha. Greta Gerwig is up for comedic actress here, and while I don’t think she’ll survive against the band of veterans she’s facing, this film has received so much praise that it’s already got the high-culture mojo of being a Criterion-brand DVD. That mojo, I believe, derives principally from Gerwig, who also co-wrote. Her onscreen presence delivers the story of yet another spoiled New Yorker, this time a younger woman having trouble finding herself in the new social landscape. In the story respect I prefer Lena Dunham’s Tiny Furniture (2010), a film with mostly the same themes that’s cleverer in all major respects but one. And that one is Gerwig’s character, who is slightly older than Dunham’s and far better developed. Gerwig carries the film, and the film does achieve some greatness, and I think that means we can expect more greatness from Gerwig in the future. I look forward to watching her more. Gravity.You know, I don’t think New York even gets mentioned in this movie. 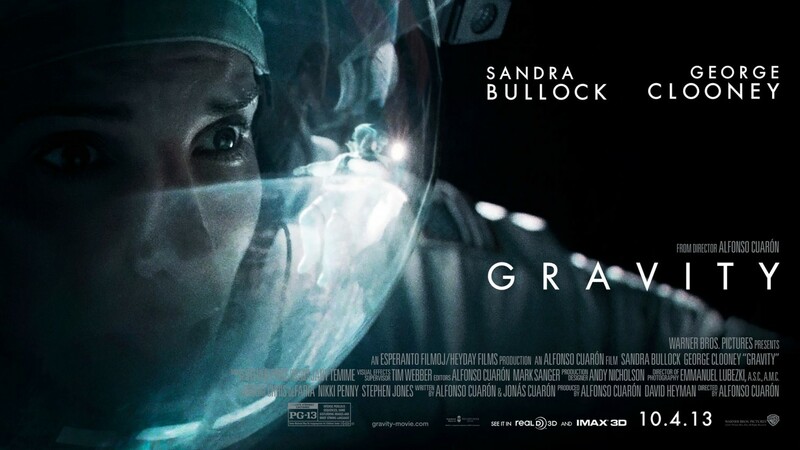 Houston does a lot, of course, but since it’s set entirely in outer space, Ryan Stone, the lead played by Sandra Bullock, doesn’t necessarily even have to stop by America to earn this film a bevy of nominations (Philomena does have to cross the pond in her odyssey). Why? Oh reader, I would need to write a much longer review to answer that question well, and I’ve already taxed your attention. Let me give you three quick answers. (1) Space: this film’s rendering of not just outer space but depth of cinematic space, which I’ve seen now in both 3-D and 2-D versions, is revolutionary, taking the art form to a new high. (2) Meaning: the movie is a roller-coaster of action, philosophy, and spirituality, and that’s a very rare combo. (3) Power: reviews that combine praise with words like “human spirit,” “trial,” and possibly “triumph” tend to make me want to avoid the film reviewed at all costs, but the first time I saw this movie, I cried twice, and the second time, I still cried. Why? I didn’t come into the theater a fan, but when I left, I was: Sandra Bullock. In a year of amazing performances, hers managed to pierce right through edumacated cynicism and reach something primal. Ms. Bullock, will you have coffee with me?